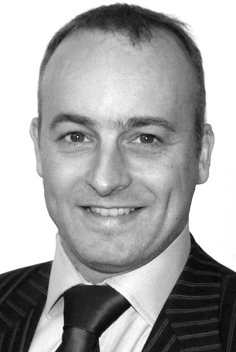 After qualifying in 1996, James joined the iO Group (now Valad Property Group), where he was an Asset Manager, concentrating on the leasing and management of intensive multi-let secondary industrial estates. From there he moved to Reit Asset Management (now F & C Reit), to become their industrial/business space specialist concentrating on the acquisition and management of the industrial/business space portfolio which was in excess of £200 million. In 2001 James became a Director of Asset Management for the Pinton Portfolio, managing industrial, business space and retail with a total portfolio value of £250 million. In 2002 James was approached by Warner Estates to assist and create the Agora Shopping Centre fund. Once established, James took control of another principal fund within Warner, the £350 million Wholly Owned fund. In 2007 James moved to Quintain where he was responsible for the investment portfolio amounting to c. £225 million. In 2009, James became Head of Real Estate for Alpine Wealth Management, an investment bank based in Bahrain, Middle East. He began working with Caisson in 2011 focusing on Asset Management. Major career highlights to date include: the purchase of Ashtenne Plc (a specialist industrial property company with £800 million under management), the purchase of £150 million industrial portfolio from Morley and the subsequent fund creation (Radial & Bareway), and the purchase of a number of shopping centres including the Palasades Birmingham and The Royals Southend. James holds a BSc in Estate Management from Sheffield Hallam University.